I thought I would try something new today so I recorded a video update. Not to be confused with the inevitable “Video Copilot Show”, I’ve recorded this short video update to talk about some of the things that are happening at Video Copilot. I’d like to keep these short and casual but it might be a nice way to talk about things that are difficult to put in words. Bad news: I have to start wearing shirts and possibly shaving regularly. i am ur very very big fan i want to just meet u but i live in india so how can i meet u? You are a great quy Andrew! I love love VFX! can anyone tell me how to make that ground explosion intro on Mr ANDREW's videos. Thanks for being my coach. 'AE' made easy! thumbs up! Andrew. You and your team should keep up the good work. I'm a big fan of yours. Yo! Andrew the new Plugin Camera tracker is wicked, this would bring a sigh of relive for many. Thumbs up for You and Your Team. My After fx CS4 wouldn't Play sound, why Plase Need advice(creativegenome@yahoo.com)and Please would love you to do a tutorial on the effect in the the glass effect and an effect in the Chapter displays on the serie "Hero", which i am thinking is a masking effect.Thanks Pal. hey what's up another very exciting blog show !! !I realy like this Andrew's things my favorite is the number 96 Submerged whith this shift eyes and Tom Cruise(32:15～32:28) !!! This MUST be one of the greatest sites on the web. The time and efford put into this is very inspiring to watch. The high quality of the tutorials and plugins are amazing. When it comes to after effects, this site is all everyone really needs. Thanks Andrew! AE. Now I know how to open a compartment or is it a component, anyway, it's where you start.. Just kidding...I like the video message and thanks for the free-be. Oh yes, I just ordered your opitcal flare, and action essentials. Christmas you know...can't wait.. Thanks again. Hey man, I gotta say that I love your tutorials, and love your humor even more! When my days get slow and I need a laugh, I go right for your site and see what crazy stuff you're doing. Hope to see more videos of yourself soon; it's nice to see how you do stuff and work, you really are inspiring. Truth be told, you're the reason I got into After Effects. Hi Andrew, your tutorials are just great, they are really really helpfull, im wondering if are you planning on doing 3DS Max, or Maya Tutorials, like this ones from After Effects. I would be just AWESOME since those programs are an excellent complement for After Effects. Hugs from Mexico man you Rock !!! can you please put up the "wall of light" tutorial that would be grate? Hey, Andrew! I love your stuff, keep on doing it. I access your site almost every day, and I think your effort of sharing all your knowledge is great. And I didn't know you were a comedian. Sorry my bad english. Kisses from Brazil. da video never felz bored whn u saying those random storiez....keep it up men...ur video helpz us..a lotzz..
No, really. Quite cool, nice to actually see you, funny too. All in all, a nice video. Hey Andrew, just a tiny ?, what kind of mic are you using???? is it a neumann?? Any T-Shirts remaining? Thanks for sharing your knowledge of AE. It's the cat's meow. Never know "the voice from the web" has a face..
love the new video blogs....have to say I just started getting into After Effects in my school courses and your website and DVDS have helped me more than you know! 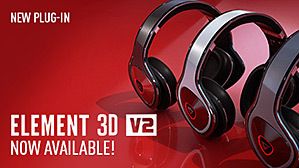 All I can say Action Essentials 2,...a must have! Great Videos... being new I'd love to know more about the lighting and Mic setup you use. The look of the videos is very cool. I really appreciate your work, I consider you a genius in after effects. I wonder what the expression that was used in the transition of the textures in the video presentation of Evolution. Just 20 seconds of video. Thank you, I'll be very happy if you can help me! Hello! We love videocopilot here in Brazil! Gratz on the newborn! I like the new video format a lot! Wow! I don't think I have ever SEEN the infamous Andrew Kramer! Nice to put a face with the voice! Andrew! What mic are you using! Sounds great! Umm... what I wanted to say, everything I know about after effects, I learned from you :) Thanks alot! wow AWESOME T-shirt :D how can i buy it? Andrew's going to take over the world even sooner and quicker than the Illuminati, started up his own (not so secret) society! Also, sign me up for a shirt doc.. seems i'm not the only interested in one of those on the planet! Ps. Do the tshirts ship with the monkey? Hey! So thatâ€™s Andrew Kramer! Weâ€™ll wait for you, Iâ€™m really admired about you. You do such a great job. Your work is very inspiring Andrew :) greetings! Not so sure how useful it is, but.. it's still something new. YEAH!! I want a T-shirt too!!!! small please =D can't wait for it! Great video blog, Mr. Kramer. Please check out my latest short film, it'll take under two minutes of your time. I couldn't have made it without purchasing your Action Essentials 2 DVD. Thanks for your sharing your expertise with the rest of us! Thanks for pointing out the audio mic because the first thing I noticed about this video was how perfect the audio was. Cool, but when do we get a tutorial about effects like in the matrix, Agents morphing, bullet time and much more :) That would be the bomb and nice website and where can i buy a t-shirt? After only hearing your voice on the tutorials for so long, it looked like you dubbed your voice onto some random guy for this. lol Great stuff, man, keep it up! This is the actual first time I got o see the guy on the other end of them awsome tutorials... Great Job Andrew, I really have and keep learning a lot with your tutorials!!! Great Idea Andrew! Its always hillarious to listen to your voice when you do a tutorial.. so visually, its even better! very dry, slapstick type humor! You da man! After following your tutorials for a good while,and learning many of the technics you teach,(Thanks so much), I still find myself wondering about things like your settings in the latest video , the codecs used, the camera,and mics etc. Maybe you could include that "metadata" in the future? Or mabe I need to dig deeper in VC's site, Just a thought. The "show" idea seems to be a natural evolution for you. I enjoyed your video "interview" as well. Congrats on all your sucsess! *I have attached my ego to you, Mr. Andrew "King Of The Universe" Kramer! *like so many other automaton droids-----see all above comments. Love the video blog. Suits the users on the site perfectly! You have an amazing radio voice! (or is it the amazing microphone that makes you sound amazing) haha! This video is Fake, haha Just Kidding !!!!! when are the sirts coming out...i want one!!!! No t-shirt for me. But I'll take an x - large monkey. Taiwan may buy the T-shirt cedar?! I guy is cool.....i think its in his blood..
nice andrew can't wait to see more...maybe some short tuts? Your not in the T-Shirt business...But YOU SHOULD BE! Very nice as always.. :) I think the video bogs will be great..
Andrew- so you mean to tell me I no longer have to set expressions on my masked solids to create those gleams off my lens flares? The video update is cool- but I was a little wierded out watching you talk to me rather than just listening. Keep it up- by the way how many takes before you got it all right in one take? Very... Very Cool, Videocopilot My First Home of Tutorials AE. Coming... More News and Videotutorials xD. Thanks! So i am flipping through the channels and I get to MTV. I start watching this show called the real world road rules challenge, it was the newest episode, and I hear pro scores in the background!!! I just wanted to say great job and congradulations for kinda sorta being on tv! hey I want one of those monkeys, where can i see the models? I don't know if you have many fans or not;) but I'm a really big one even though I'm skinny. Anyway I see your tuts in use all the time. Thanks for instilling creativity! I liked the video keep it up. Fortunately you're a hilarious and educational wackjob. But you're still a wackjob. Don't stop. I second the chocolate rain sing along. Love your site, tuts & products. Do not shave, do not wear shirts, just be creative as you are. I hope to see more more of these videos in a weeks to come. By the way you didn't show us the monkey, what is it like? Like the blue light, but you should move it to the left, to the other side of your head to create a better back light. Thank you!! !SOrry for bad englesh!It is cool plugin!!! i only can say ..... I WANT A T-SHIRT, jajajaja. Canâ€™t wait to have that new plug-in. Andrew, are you now mocking me because I used to call into your late night radio show? You told me you believed. Now, I will go back to trusting no one. Fight the future Andrew. When you make all these cool products you are actually accelerating the future. You do have a photogenic face (with equally good voice of course) . . Ever thought of acting in the movies??? Actually you should be sending your next video link to George Lucas . . like you have a new weapon (innovative as you are) in your hands, slashing the screen into pieces to reveal something (use your imagination) . . .
Where is the link to this video that's all the rave? All I see is the picture of AK at the mic and the paragraph explaining the update. I searched the site but still no link or video. Could be my dial-up? I love the Coast To Coast AM reference. Hi Andrew, nice to finally see you, I think you're hott. Thanks for the great tutorials, you are a HUGE help. Hope your girls are all good. Tell them I said hi. GREETINGS FROM BARBADOS!!!!!!!!!!!!!!! Hey man! Great idea on the vid! Good to change it up a bit. Hope all is well with the new baby! Dear Andrew. First let me congratulate you for your new daughter's birth. I order you to make a new tutorial. What's up Andrew! The new plugin sounds really cool! With action essentials 2, check out what I created. This is my school bus. Your the man! The only thing I would add is a backlight. Perhaps, move the blue light from the right and use it as a backlight, thus adding a little more professionalism to your v-blog. That was good Andrew!! I mean amazing!! Awesome!! Super great that you are adding the video segways. 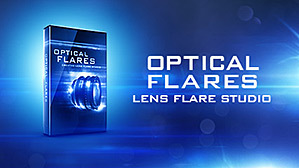 Is your new product Optical Flares able to create your own Flares? And can I use my own Jpeg Pictures for the Lens Flare Core? That would be really awesome, because you could draw your Lens Flares in Photoshop or could photograph theam (Real Ones) and load them into your Plugin. WHAT CAMERA DID YOU SHOOT IT ON? I know you won't read this so I won't buy one of your t-shirts but I still love you man! I want a t-shirt!!! from chile!!! please!!!! haha I always wondered what you looked like dude you're awesome I'm definitely going to get a tshirt if I can you guys tought me after effects after all. Hey Andrew, I love the video update and can't wait to see what else you have in store! This was cool! I'm going to buy one of those T-Shirts. Well, I just want to tell you it's a great website, with great products and great video tutorials. I'm new in this giant world and, seriously, your videos are veeery useful. Thanks for all of your stuff, you must be working really hard and spending a lot of your time to match thoses videos so, a veeery BIG THANKS to your job, because everybody thinks same : you are a hero ! Have a good day and try to continu your story !! Can you tell the name of the microphone you use? Good news! I'll would like to take t-shirt, but I live in Ukraine. It's possible? hi...nice video and the light u use...love to see your next video keep smiling andrew bro. Lets the show begin! Can`t wait. This "Video Update"-Style is great! Are the monkeys any good with After Effects? Ok so I just watched the real world, road rules challenge the Ruins and I found it funny that they used the premade scores in Pro Scores for their show, completely un altered. Just shows how good these products are. Oh man I would kill for an official video copilot Monkey! So, this is what it was like when radio shows first broadcast in black and white. Nice to see the man behind the voice. I'm from brazilian, I love you Kramer, you is THE BEST. dude, how do you call 10am early. I know you wake up at least 6 to 7am with the babies. Btw,keep up the vidoes. Awsome Job Andrew. Love that video!! it is kinda feel weird looking at your video with your voice. I am so used to listening your voice only. haha! I enjoyed this video blog, nice way of incorporating what your doing and whats going on both visually and audibly. Um I think that's right LOL. Keep up the good work AK. If we could have a poll on this vs written blogs, I'd think the majority would vote for video. Now that isn't to say we should eliminate written blogs... Kramer, you have written a lot of blogs that are very rich in information and I really appreciate all of em including the ones with some expressions we can use, etc. I like these video blogs though; gives a lot of feelings :)! Keep up the video updates! You have no idea how strange it is seeing a real live human saying the words "Hey whats up, this is Andrew Kramer for..Video copilot.....dot net." You know what my favorite part of this was? And not in the mean way, but you go from doing an outro, to the player resetting with it's default BG snapshot of you as if some hot supermodel just walked in the room. So we go from an animated Kramer to a still-shot of his eyes buggin out. :) Classic. LOL!, First time i saw your face, btw, Nice Bass mic. Cool video and the new plugin you're working on looks really awsome. Congratulations to you getting a daughter! hope to see some cool tutorials soon since it has been a while but I suppose you are a busy man. Huge fan and own everyone of your products. On another note, there is a scene in Oceans 13 that has a computer operator that looks exactly like you. Did you ever have a small part in the movie as a fill in? The reason I ask is because the special effects is reminiscent of your style. Just curious If you like I can take a snap shot of it so you can see what I am talking about. I just realized that we did not see a new tutorial the whole entire month of September. Wow its been a while. I found this a little disturbing. Voice doesn't match the face somehow. Excellent Job Andrew. It was nice seeing you in action. You definitely have a radio voice. I did radio for many years before going into vfx. Know what you mean about the late night phone calls. I was a radio shrink...you can just imagine. Ahh, the real Art Bell revealed!!! I knew it! Dont know why but... I cant stop laughing! I just cant! T- SHIRTS!!! great!, Have you ever thought in selling hats too? that would be cool! I'm totally tripping balls right now. will u b shipping t shirts to ireland? i'll definitly buy one! and wth is that blue light in your head? look good in your beck but not in hour head!! anyway.. u are a great photographer director too, one of the best videopost that i see, great light! Dude! Love your comedic timing and remember, you may have to shave and wear a shirt but you DONâ€™T have to wear pants!" serisly dude, u have some strange comments! that was very cool. enjoyed seeing you. more, more, more. It will be fun if you go accros the new studio to show us more of it ? Dude! Love your comedic timing and remember, you may have to shave and wear a shirt but you DON'T have to wear pants! Very nice! I'd specifically like to note the great lighting and sound! Funny and top-notch, as always. I encourage you to make more "video updates." Being able to actually see someone's face also adds to the great community aspect of this site! On a side note, I would like to say that the Optical Flares plug-in looks awesome. I have to ask, was it inspired by the new Star Trek you helped on? Cause the flares in that film were one of the things that really sold it, and the Optical Flares look similar (meaning awesome!). Amazing! Love the idea of filming yourself to tell us what you need to say (news and other stuff). You are funny in the way that you tell a joke but you don't have any expression in your face. lol! Ps: Very professional looking video, eg: when you talked about the FX you put one over your own footage. nice! Thats awesome! I rather see you on video than read the text of the blog. Nice work!!! hey i love this stuff, hmmm... what i was thinking why not try a question on answer show on which you can reply to our comments. Please some more of those! Fun to watch! I wold liked make some here in BRAZIL, post the t-shirt pictura for us. I'll print here. Awesoem video, I like the fact that you did a little bit of production work on this video when you spoke about the new lens flare plug-in and no distracting background. Please keep them coming, great job. Sorry to say i agree with Kai, your face doesn't match your voice. But looking forward to the Video Copilot Show. if you could incorporate some alien abductions into the vlog, that would be really impressive. this "video Business" is the way to go! hey andrew,will you be shipping some t-shirts to eastern europe(serbia) 'cause i would like to buy one.and if not,could you put a picture that's on the shirt so we can get shirts by our own? OMG, the voice has a face!! really fun to see you talk on camera, instead of only your voice. please continue with this video blogs! Andrew U rock! I know you're NOT in the T-Shirt business but I'm buiyng one of those:D. Hope u will deliver this AWESOME merchandise to Argentina. n1, good vid and would be cool for you to keep doing these. AHHHHHHHHHHHHHHHHHHHHHHHHHHHHHH THAT WAS TOTALY WICKED! Thats what I was almost gonna do on my journaling for my 2 month internship with a program on Base in germany. where did you dye your hair? LOL! What do you use to post your video on the web. What codec, software, and settings do you use? I think the video updates will be great and very popular, hope to see more soon! I cannot tell you how excited I am to hear more news about quickmatte! I'm doing a big project soon involving a lot of gren screen work, some of it on a large scale and I've got a feeling quickmatte is going to be a god send! Also I think this video update works really well, Andrew you're obviously a very charismatic guy and the camera loves you baby! those T-Shirts are gonna sell out in hours! Great job, This is how a blog should be. Mr. Andrew I beleve that u r the best on Grafic in this world..
can ask u about the model of your mic which made very good BASS and TUNE? I think its great man! Keep on rockin the vids bro! And another thing...if video copilot doesn't work out, you can always go into some sort of after effects comedy special or something...idk...but your pretty funny! this is awesome and nice to see a video update - is it just me or does the video cut out at :43?? I think that's a Neumann TLM 103 mic Andrew's using. Hey Andrew, will t-shirts be available to download or DVD only? Arf. I've noticed that when you talk, your left eye is closing a little more thant the right one. Keep it up Andrew. I want a monkey IN a t-shirt. Did you have a UFO in that room or something? You should definitely make more of these, it's always good to put a face to a voice. I thought you'd have a big white beard and glasses...and a red hat...and a red suit...with white fluffy bits and a herd of reindeer. I'll definitely try and bag me a t-shirt. Keep up the great work. This website is my favourite website on the web. Alan, don't worry I read all the comments. Awesome Video Blog! it works really well; I liked the lighting, you got some nice tone and depth in there. And the plugins sound cool too. I love your 'Jude Law' hair style XD. Can't wait for Quickmatte plugin. Thx!, and sorry for my english! You deserve the success you're getting, quality work but with humour - there's too many video/film/fx people out there who take themselves too seriously - you guys really hit the mark. I love the video entry - maybe PiP tutorials? Assume it was shot with either a RED or Canon 5D, looks that kind of quality. And I don't think it was impersonal, it was simple, clean, focussed on what it was meant to which is you. Great work, please don't stop! Dude, hope to see you on Season 9 of Scrubs. P.S if you get the part i want a free Tshirt. hahahah...GREAT VID!!! !...I didn't know what u looked like til' now!!! hahhahahahaha FUNNY! Geez.. dude... you are even funnier when you talk rubbish on video.. i couldn't stop laughing.. There's not even a green screen if you ask me. Just smart lighting - well, actually quite basic lighting - and it works great! I can't agree with you, Kert Gartner. I think it's not impersonal at all and fun to watch. are you in a cave??? What didn't you face the camera straightly, and gave that angled pose? love the blue hair light! Hi-tech background haha you must have saw something I didnt. It was just a green screen with select lighting, I dont know how that is hi-tech. I liked it. This is really quite odd. The production value on your video seems way too high, and is almost a detriment. It almost feels staged (which the lighting is) which almost makes it impersonal in a way. It's nice to see your face for once, but I would lose the high tech background, and do it more raw. "ok, i don't know why lose time posting this. Probably nobody will even read it"
But look at that modeling socks joke from Phil up there. That's a horrible one, really blows. hahahae, just kidding man, excelent joke. And probably nobody will even read this comment also. Look forward to more video updates. You are the hottest guy on the internet! I love these videos. You've got to start sending Email Alerts to keep me on the up and up on when those Plugins are coming and the T-SHIRTS !!! Awesome to see Andrew, keep these up. Makes it more personal to see you every now and again. As always your content and work are much appreciated and excellent! I like that you are willing to forgo self consciousness. I NOW do voiceover for my church anouncements,tv spots and web spots as well as design them, even though I do not like my voice. If ywe continue to practice and do our best our talents continue to grow, even if we do not particualrly think we are good at it and others do. I like you! And i love Video Copilot! Wer eyou by any chance talking about COASTTOCOASTAM? Because that radio show is exactly like what you were speaking of hehe. I was never a DJ on the radio as you stated you were, but I was a male model once. I modeled socks...on the radio...on an AM station...late at night. Nice, and I think necessary, considering the way GSG is going. Love both VCP and GSG. Hey... I just wanna say thanks for all the great tutorials and tips. IÂ´d have to say that over 80% of everything iÂ´ve learned in After Effects is thanks to Videocopilot, so iÂ´m very grateful for all your help. Great idea the Video Update. Hats of for you buddy! You could just have these Vlogs with no tutorials, and I would still come back everyday. Very nice vblog. Well executed. I liked the quality of the sound, and always have and like that there is no distracting background. Very informative and would love to see more of these. As long as the quantity of the tutorials doesn't drop! Hey Andrew, What kinda camera was this filmed on? I like this format of updates a lot. Much more personal and you can get more info out there. Once again, well done. Awesome stuff, canÂ´t wait for the vlog, t-shirts, quick matte and lens. Well, i can wait actually (learned while waiting for the Meteor series) but anyways...rock on Andrew! "I have to start wearing shirts and possibly shaving regularly." Ya but pants are optional. I hope the t-shirts can come in size small too! That would be ideal and I would buy one for sure. this plug in for sure is awesome lens flares are the best. oh yeah, and nice blue hair. it's weird actually being able to SEE you say "Hey, what's up, Andrew Kramer here for VideoCopilot.net..."
Haha! That's cool. Looking forward to more episode's! Awesome. Looking forward for more! Thanks for some awesome tutorials! I hope you have more videos like this to update us. Awesome! I would certainly like to see more video blog style stuff. Both Plugins sound fantastic by the way, thanks Andrew! I did have a question about the lens flares, the flares you used don't look like the ones built into AE, am I to assume that it has presets for different lens flares than those we're used to? Andrew: I sent an email a while back suggesting that you should start a youtube channel for VC. Youtube has a partnership program whereby you become a partner and thus get a cut of ad revenue from hits. Right now the only presence VC has on youtube are mostly people trying out VC tutorials and posting their results, and the occasional wholesale rips and promos. What kind of microphone was that you were using? It looked like it had some sort of diffuser. Is that microphone good for recording voice overs or animation dialogue? Oh yeah, and the video rocked. Great video. It's weird to see you speaking when we've just listen to you for so long. But love the video et hope you'll continue! Nice blue gelled rim light, like the new video feed so far. Wishin you the best. nice stuff andrew, hope to come with some pretty soon! It's so weird to see you while speaking. I think we're all used to just hearing you while we're using our brains to the max following your tutorials haha. Anyway, you're an idol to many of us, including me. When I grow up, I wanna become Andrew Kramer lol. Cool video, you should do that more..maybe incorporate some behind the scene footage. Keep up the good stuff Andrew! cheers man! keep it up! Makes your site much more personable. I like it. Haha, ofcourse it works, I'll (lame joke ahead) SEE you next time! Hahahaha!! You are ridiculously funny! btw what cam recorder are you using?